George Angus Barclay’s probate process was pretty easy for he had only two heirs: Amarilla, his wife, and Grace his daughter. George’s brother Alexander didn’t marry although I suspect he did care about someone. Because Alexander remained single his heirs were his siblings and if deceased it would be their children. In the last post I gave an overview of the eleven heirs of Alexander Barclay’s estate. The heirs listed were the children of John Barclay and Margaret, the first marriage. and John Barclay and Ellen for the second marriage. There would be full siblings and also half-siblings involved. How close George or Alexander were to these other siblings I do not know. Only a few attended John’s funeral according to his obituary. I have posted about John Barclay, the father, in this blog on many occasions if you want to review just do a search. It is now time to share about the siblings. I want to start with the oldest. The oldest brother was named John Barclay. I have his birth sometime around 1836. He may have been born earlier or later. In the census he is listed as born in Scotland. John Barclay, the father, claims in his naturalization papers that he came to the U.S. in 1833. This would mean that the son was not born in Scotland but based on documentation you will see that this John Barclay was pretty clear about his birth country being Scotland. This means that John Barclay the father gave the wrong information on his naturalization papers. Until this mystery of the Barclay arrival in the USA is solved the birth of the son John Barclay will be in question and for that matter all the children. In the post titled “John Barclay’s Two Families,” dated April 3, 2010 on this blog, I gave a summary of the children of John Barclay from each of the two marriages. In the next posts, I will share in more detail what I know about each of these individuals. In my post “More Siblings in Connecticut 1850,” April 18, 2010 I did a study of the 1850 U.S. Connecticut census trying to identify the children of John and Margaret Barclay who were scattered around the Enfield. The family of John and Margaret Barclay was scattered and broken in 1850. A search of the census did not reveal John Barclay the father or anything about the mother who was said to have “died before the Civil War.” I do not pick up John’s trail till 1853 when he appears in Shakopee, Scott Co., Minnesota. Where he was from 1833 to 1853 is not clear. The History of Enfield Connecticut reports about a John Barclay who was not paying his taxes and a Margaret who died in 1848. There is not enough information to really prove that these are my ancestors. John Barclay the oldest son has not been easy to find or to learn about. I start with the 1850 U.S. Federal Census in Connecticut. 1850 Census: “A John Bartley is living with the Olmstead family in Enfield. The spelling is slightly different. I have seen this spelling version of the Barclay surname before in other documents. The family starts on line 9 with an Obadiah Olmstead age 34 male, farmer with $4000 in real estate, born in Connecticut. He is followed by Hannah age 30, [Sauranu] age 7 female and Frederick age 4 male. John is on line 13. This John is 16 years old which means he was born about 1834 and born in Scotland. John is followed by a James Boyle age 28 farmer, born in Ireland. This John Bartley is a strong possibility for the older brother of George and Alex. In another post “1850 Connecticut – George and Alex,” dated April 11, 2010, I wrote about George and Alexander and the fact they were living in separate families as well. I have spent some time trying to find out about apprenticeships in Connecticut in the 1840’s and 1850’s. Looking for poor houses in the area of Hartford County, Connecticut but the records are not good. The towns would care for their poor and take families would take in children so there might be agreements but I have not had much success in finding them. It has been frustrating. By the 1857 Minnesota Territorial Census we find John Barclay, the father, living in Eagle Creek, Scott Co., Minnesota and George and Alexander are with him enumerated on 26 Sept 1857, by Frank Warren, pg. 326. Line 21, 6/6 John Barclay, age 46, (born 1811) male, white, Place of birth – Scotland, naturalized, farmer. Line 22, 6/6 Alex Barclay, age 16, (1841) male, white, born in Conn. Line 23 George Barclay, age 14 (1843), male, white born in Conn. There is no mention of John Barclay the oldest son in this census. If I speculate, John Barclay would be 20-23 years old at this time and did he bring his two younger brothers to Minnesota or did they come by themselves. George would be about 13 years old and Alex would be 15 or 16 years old. I have wondered how they got to Minnesota and thought it would be very interesting story. In the General Index of Deeds for Sibley Co., Minnesota FHL#2294774, listed as grantee is a John Barckly. He is buying from Grantor C.H. Drew, Recorded 12, Nov. 1858, Instrument dated 27, February 1858. Book C., pg. 557, W 1/3 of S1/3 of SE 1/4 of SE 1/4 Section 15, Twp. 112, R. 27. A copy of the deed would need to be obtained to see if it placed John in Sibley County or indicates he is listed somewhere else. By the 1860 U.S. Federal Census we have John Barclay living in Kelso, Sibley Co., Minnesota. 277/277 John Barkley 25, Male, Farmer, $50.00 born in Scotland. Source: 1860 U.S. Federal Census, Kelso, Sibley Co., Minnesota pg. 26, June 16, 1860, P.C. Bray. In the year 1864 John is on the Delinquent Tax Lists for 1865-1875 for Kelso Twp., Sibley Co., Minnesota. John Barclay appears in the 1865 Minnesota State Census in Sibley Co., Minnesota. He is family #17, male. The date of the census was 1 June 1865. (Roll MNSC-3). He also appears on the Tax list for 1864. Source: Delinquent Tax Lists, Sibley Co., MN 1865-1875, #102.K.7.3B 2v, Henderson & Kelso. 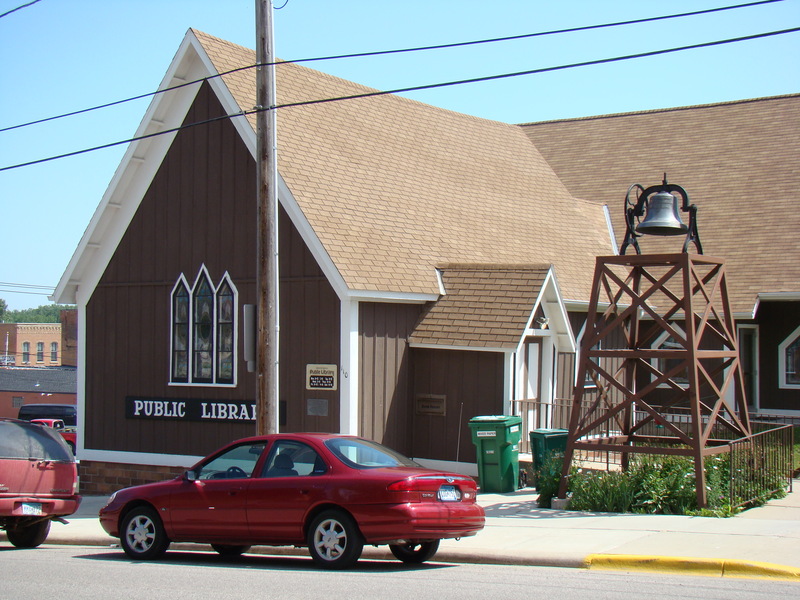 In 1865 John Barclay marries on 3 July 1865 to Minerva Parks in Henderson, Sibley Co., Minnesota. Source: Marriage Records, 1865-1952, Marriage Record Index 1865-1992, Barclay & Parks, 1865, Item 2, Box 1, Book A, page. 17, FHL#2295484. State of Minnesota, District Court for the County of Sibley, To any persons lawfully authoried to Solomize marriage within said state. Know ye that license is hereby granted to join together a husband and wife. John Barclay of the County of Sibley, State of Minnesota and Minerva Parks of the County of Sibley and State of Minnesota. Being satisfied by the affidavit of A. D. Parks and [Lovina] Parks parents of the said Minerva Parks that there is no legal impediment thereto. Therefore this shall be your sufficient authority for solemizing the marriage of said parties and making return thereof as provided by law. etc. Signed by M.B. Wilcox clerk July 3, 1865. From this information we know that Minerva was the daughter of Avery D. Parks and Lavisa (Lovina). Minerva had siblings: Allen (1852) Pascal (1854), Amy (1857), Iseral (1859). 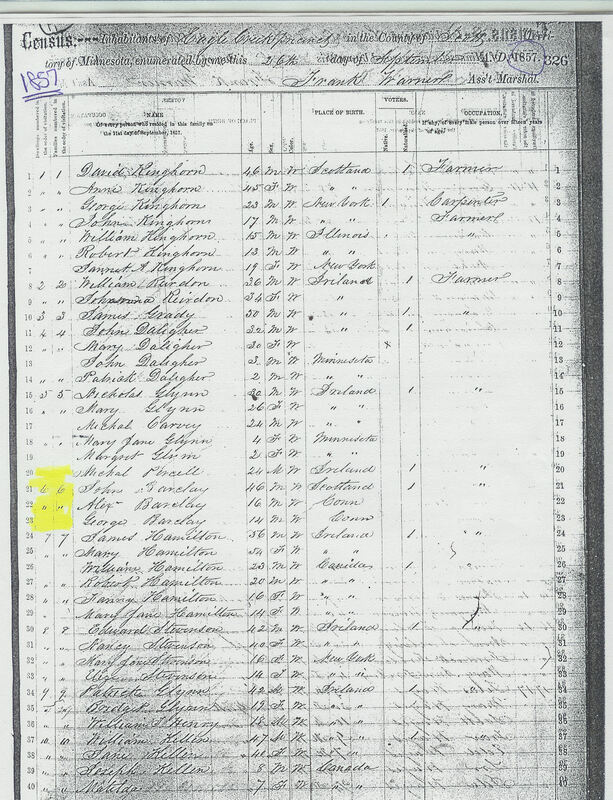 Source: Family of Avery D. Parks – 1860 U.S. Federal Census, Tuscarora, Steuben Co., New York, pg. 87, enumerated on the 30th of July 1860. Avery D. Parks is also listed in the 1865 Minnesota State Census along with Louirie, Minerva, Allen, Pascal, Israel, Rhoda, Renaldo. Also a Miner R. Parks with Susan and Andrew follow as a family group. 1. John Avery Barclay (1867 to 1951). He will be featured in a future post and also his sister. 3. Albert Barclay (born 29 March 1870 died 24 August 1874) a twin. Source: Township Birth Records, 1864-1887, Sibley Co., Minnesota, Kelso Twp., FHL#2365687. #3 March 29, 1870 Albert Barclay, Male Twin, White, Town or City: Sibley, Father John Barclay, born in Scotland, Farmer, Registered Dec 10. #4 Alice Barclay, Female Twin, White, Town or City: Sibley, Mother Minerva Barclay, born in Pennsylvania, Registered Dec 10. Albert died 24 Aug. 1874 in San Francisco, San Francisco Co., California according to funeral home records. Albert Barclay, burial, 24 Aug, 1874, San Francisco, San Francisco Co., California, age 3, born Minnesota, death 1874, est. birth year 1871, N. Gray & Co. Funeral Home Records. Unfortunately, troubles were still plaguing John Barclay in 1867 he gets arrested for allegedly stealing hay. Source: Silbey Co., Minnesota Civil and Criminal Case Files, State of Minnesota, Co. of Silbey v. John Barclay, Case #1505, Minnesota Historical File 131.E.3.8F Box 8. 1. No. 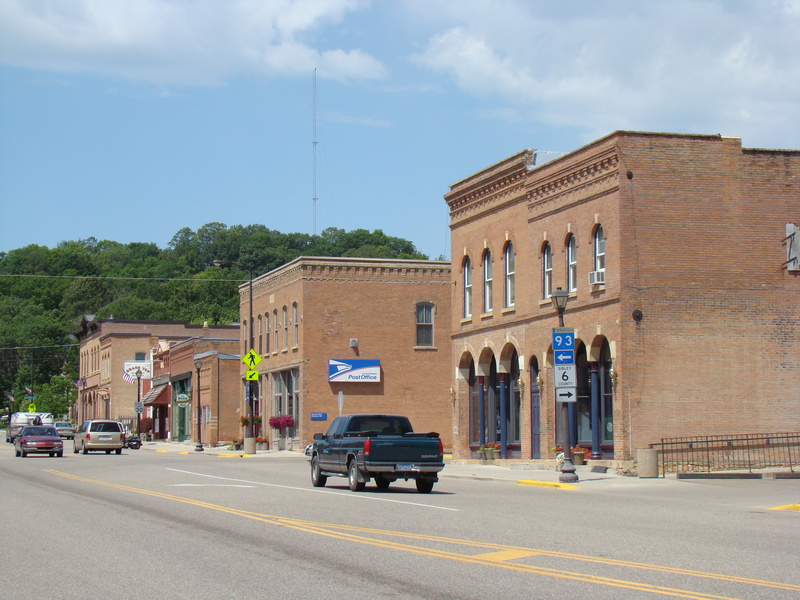 1505 District Court 8th Judicial District, Sibley Co., Minnesota vs. John Barclay, Summons to trial for William T. Barnes, Arnold Selger, Moses Pellier, C. H. Delger, Daniel McGuen and Oliver Pelkey. To a home on the 8th day of Feb. 1867 at 9 am Sunday in the Town of Kelso at the home of Sylvester Rice for the trial of John Barclay. 3. Sheriff Summons to arrest John Barkley for the stealing of 4 loads of hay, dated 6th day of Feb 1867 signed by the Justice of the Peace Eben. M. Gordon. 4. Further expenses $3.05, filed Feb 27, 1867. 5. Formal printed with handwritting subpoena, dated 6 Feb. 1867, Eben. M. Gordon, Jof Peace for Sylvester Rice, A.D. Parkes, George Grant, Allen Parkes, Pascha Parkes. 6. Justice’s return – summary of the trial at the home of Sylvester Rice – John Barclay was convicted of stealing 4 loads of hay that was owned by David Adams. John Barkley to pay a fine of $30.00 by 9th day of Feb. and he will be imprisoned in the common jail of the county if the said fine is not paid. Signed 9th day of Feb by Mr. Gordon JP. Judge Austin decided that the court had not final jurisdiction and had John taken by the sheriff and he was to appear the 2nd of April 1867 in Henderson. 7. Court expenses listed total of $6.05 Feb 27, 1867. 8. Complaint of Daniel Adams that John Barkley had stolen 4 loads of hay from him Feb 6th 1867 and that John Barkley would be arrested. Signed by Mr. Gordon, JP. 9. List of the jurors: Wm. F. Barnes, Arnold Delger, Moses Peltier, H.C. Delger, Daniel McGuen, Oliver Peltier and witnesses Daniel Adams, Sylvester Rice, A.D. Parkes, Allen Parks and George Grant. 10. Recognizance – John Barkley and others to appear in April 1867 at court in Henderson. This might be the resolution of the above court case? H. Loehler vs. S. R. Andrews & John Barclay – Amount of Judgement $49.18. costs $16.60 amount to $65.78. Amount received $7.65 balance due $58.13. , Recorded Nov. 7, 1867. M. R. Wilson, Clerk. Judgment satisfied by S. R. Andrews one of the defendants. S. R. Andrews is discharged for all liabilities. Paid $29.06. T. Barnes & _____ Grant garnished. Source: 1870 U.S. Federal Census and Agricultural, Sibley Co., Minnesota, page 1, line 12. John Barckly, two pages. In 1871 John is delinquent on his taxes again. Grantor John Barclay and Wife, Grantee August Spannams, Instrument date 11 January 1871, Recorded 18 January, 1871. Book J/G pg. 536 – the NE1/4 Section 26, Twp. 112_28 & W1/2 S1/2 of SE 1/4 of SE 1/4, Section 15, Twp 112, R. 27, 170 acres. Copy not made. 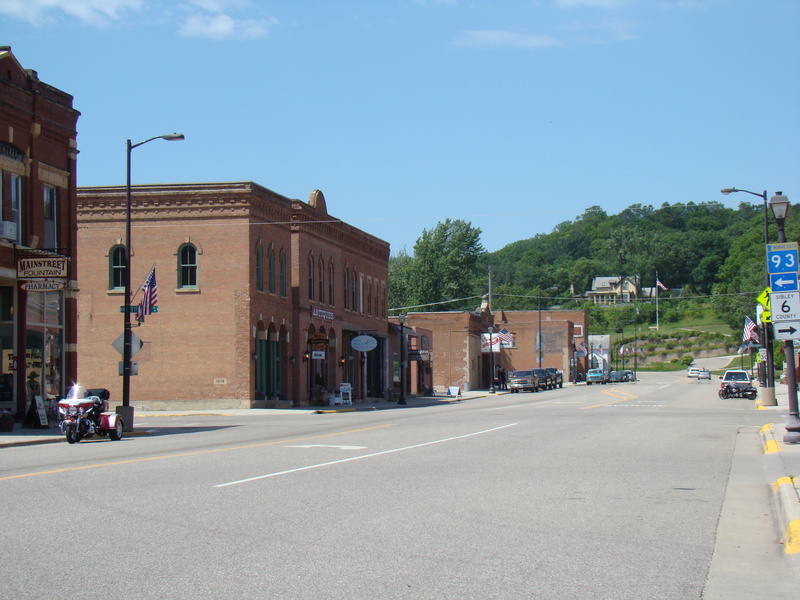 Some time about 1871-1872 John Barclay left Sibley Co., Minnesota and headed to San Francisco with his family. Note: I cannot claim that I did all the research on this family. My cousin a descendant of one of the children, John Avery Barclay, has provided me with clues and documents to aid in figuring out what happened to this family and I am grateful. 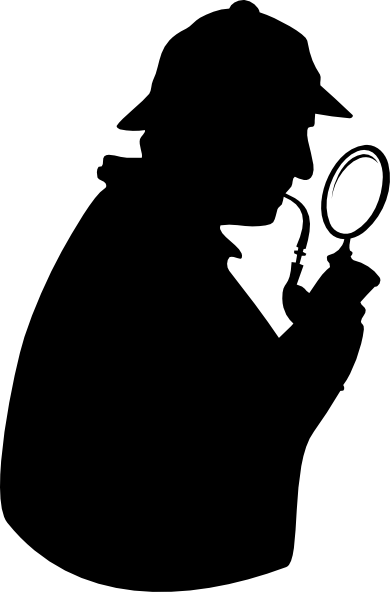 The Murder Investigation regarding the Death of George A. Barclay? We must remember that back in 1898 in a local area like Pine River it was not easy to investigate a crime or a death. The steps are very complicated in murder investigations today. Here is a much more detailed explanation of a murder investigation, I am sure there are better websites to consult but it will do. A familiar figure of the times! So if we take and compare the murder of my great-grandfather George A. Barclay to the standards of today’s murder investigations we see that there are a lot of discrepancies. I confess that I am a big crime scene fan (CSI), but drama is not reality. I am going to jump in and take some of the steps in the above link and share my thoughts below regarding George’s murder based on the documentation that I have found. If only Sherlock Holmes could help? 1. The murder is reported by someone who comes across the victim. That person is asked to remain on site. In this murder case there are many people who witnessed the actual event and were nearby who heard the gunshot. The news of the crime occurred when the railroad office was contacted requesting medical help for George Barclay. This was described in the “Cold Blooded Murder,” article which I featured in my post dated November 28, 2013 titled: Cold Blood Murder and Cowardly Crime, November 1898. I will be referring to those two articles a great deal so you might want to go and read them. Someone apparently knew how to determine if an individual had died. It was not made apparent who that was in the records. The nature of the wound and the number of witnesses was probably sufficient. Although each witness had their version of the actual death. Some indicated that George died quickly and others said he lingered for up to 30 minutes. The time of death was given as 7:10 pm and I have seen 7:30 pm given. I have also seen the day mixed up. I am going for this: Time of death was given at 7:10 to 7:30 pm, October 29, 1898. 3. The scene is turned over to law enforcement. “B.F. Hartshorn and Geo. Hardy went to Pine River to look into the facts concerning the murder of Mr. Geo. Barclay. B.F. Hartshorn was the Cass County Attorney and Public Prosecutor (1897 to 1903 Cass County History). Geo. Hardy was the sheriff at the time (1897 to 1905 Cass County History). Both of these men will be involved up till the trial. Again this is not made clear in the transcripts as to what law enforcement officer was conducting an investigation. Frank Breese, Deputy-Sheriff was at the Coroner’s inquest to give testimony regarding the bullet that killed George. 4. The scene is secured to prevent contamination of the evidence. With all the witnesses and people coming and going that night at Barclay’s I doubt that the scene was secured at all. As for contamination that happened immediately. In the testimony at the Coroner’s Inquest several people were reported as touching the body. I am sure in the confusion, chairs were moved around. 5. The murder scene is observed and documents with photographs taken. Photography was not like we have today with digital cameras and instant recording of events. It is not clear to me who observed the crime scene. I am assuming Mr. Sundberg the Justice of the Peace and Acting Coroner did a walk through along with the jury members, maybe Hartshorn and Hardy were there? 6. Evidence is collected and bagged and sent to the crime lab. In the next post I In a future post, I will review the evidence that was collected. In this case we have the body as evidence and the area around it, the bullet, the post where it logged, the scene of the crime, the hole in the window and glass on the floor, the location from where the gun was fired, witness accounts and their guns, and more. 7. The body is first removed and taken to the coroner’s office for autopsy. This was not done until the inquest was over and even then I do not see any evidence of an autopsy performed. George’s body remained where it had crumpled till the Coroner’s inquest was completed. A Mr. E. F. Lynch who resided at Brainerd, Crow Wing County, Minnesota was an undertaker for D.M. Clark & Co. He was called upon to prepare the body of Mr. Barclay for burial. He testifies in what appears to be the Grand Jury proceedings. 7. People are interviewed who were involved with the murder or nearby when the murder occurred. There are many witnesses that gave testimony at the Coroner’s Inquest. I cannot tell if anyone else did any interviewing of the witnesses other than at the Coroner’s Inquest. In this book you will find a pretty good coverage of the sources that were generated regarding the murder of George Angus Barclay. Since they probably had a space issue they were unable to publish all of the information so you have to keep in mind that it is not totally complete. I have most of what they share in this publication and they have other items I do not have which add to the story. At the beginning of the section on George Barclay there is in introduction taken from the book Logsleds to Snowmobiles: A Centennial History of Pine River, Minnesota (1873-1973), Pine River Centennial Committee, 1979. I would like to caution you that there are mistakes in this introduction. The purpose of this blog was to correct those errors. They state he was killed in the lobby, well there seems to be other information stating it was the saloon area of the hotel. Since there is no floor plan available it is difficult to be clear. First, George was more likely born in Enfield, CT not New Jersey, although I have not yet proved it. I have shared in past posts about George’s earlier years and the census places George and his siblings scattered in the Connecticut area around Enfield and Hartford. Alexander and a sister Mary, older siblings, state they were born in Hartford and Enfield respectively. This sort of places a damper on being born in Scotland. His father John Barclay in his Naturalization papers says he came to the United States in 1833. I have posted about this event. However, George and his brother Alexander did not enlist together in the Civil War. George waited a full year before he enlisted. Alexander was older by two years. I have all of their Civil War Service Records and pensions and I have thoroughly shared them in this blog. Again, George did not march with Sherman to the sea, his brother Alexander was the one who did. No where in George’s Civil War Service or Pension record which I have shared on this blog does it say that he was with Sherman. However, Alexander’s Civil War documents do state this fact. I mapped out their company records so you can see from those maps that they were going in separate directions. Now granted those company records may only cover the main events. Individual soldiers could be sent where ever they were needed. I have shared the article from the Northwest Magazine and the mention that George had 840 acres but I am not convinced. I will tally it someday in the future and see if it matches. Oh and on page 23 Amarilla married George Urton in 1922 and this is not correct she married him in 1919 but I will get to posting on their marriage later. By 1857 George and Alexander are living with their father John Barclay in Eagle Creek, Shakopee, Scott County, Minnesota. On Line 20 we find John Barclay age 46, male, white, born in Scotland and a farmer. Below him is Alex age 16 born in Connecticut and then there is George age 14 born in Connecticut. Here is the beginning of evidence that points to Connecticut as Alexander and George’s birthplace. The question is how did they get from Connecticut to Minnesota? “Sometime before the Civil War his mother died, and George and his brother, Alexander, were placed in different foster homes. George ran away from his “turf family,” found his brother, and together they enlisted on August 13, 1862 in the Union Army.” page 104. What a great and wonderful adventure these two young men would have had. I often ponder it, wondering what route they took, what sights they saw. How did they know their father was in Minnesota? I have been to Enfield and drove from Enfield to East Windsor where the 1850 Census places these brothers living near each other. I was curious as to the distance. It is close and took about 5-10 minutes to drive it. Two young boys without means they would have had to walk to get to each other unless they talked a good story to someone and hitched a ride. It is doable. Based on the 1850 Census which I have discussed in past posts (April 11, 2010) we have seen that Alexander was in East Windsor and George was in Enfield, Connecticut. I have a theory. There was an older brother name John Avery Barclay who would have been about 20 or 21 years old in 1857. I talked about the 1850 Census for Enfield in which I found a John Bartley about the right age living in Enfield (April 18, 2010 post). Alex was 16 and George 14 when they were with their father in 1857. Maybe this is a little more involved than is realized? Their older brother John Avery Barclay takes up residence in Silbey Co., Minnesota in the 1860 Census. He is living in Kelso and farming. He is 25 years old. The only evidence that this John is a brother is from Alexander’s probate file. I will talk more about this brother and his family in future posts. Of course this is idea that they all came together is speculation on my part. As for the comment about the Civil War, well it is not quite right. Alexander enlisted first and then George followed him a year later. I will discuss the Civil War service of Alexander, George and John Barclay Sr. in future posts. Each person was involved in very different ways and all survived to live for many years beyond. Note: This John Barclay born about 1836 was a son of John Barclay born 1801. The son names his son John Avery Barclay after the grandfather of the wife Minerva Parks. In April of 2007 I traveled to Hartford, Connecticut to attend the New England Regional Conference. This was an opportunity to do research on my Barclay and Goss families. 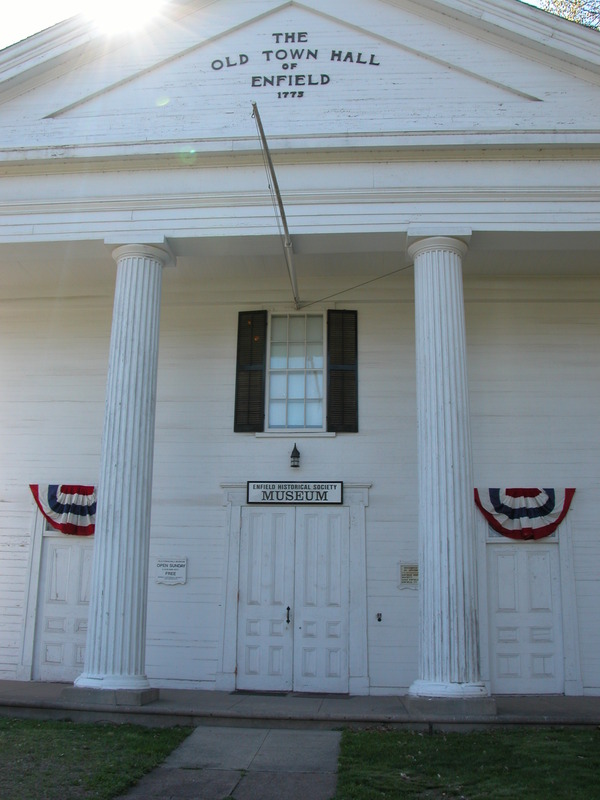 I visited The Enfield Historical Society and talked with Mr. Anthony Secondo the President. Mr. Secondo recommended the book about the carpet industry in Enfield and Thompsonville. After our talk I wandered the Enfield Museum looking at the displays. I did review the names of the Shaker cemetery listing they had posted but did not see any Barclay names. Mr. Secondo told me about some houses built by the Scottish weavers and told me where to go to see these houses. He remembered the name Barclay and said it was the name of a street that was now nonexistent due to development. I did find the area and the houses. Broadlooms and Businessmen: A History of the Bigelow-Sanford Carpet Company (Harvard Studies in Business History), by John S. Ewing and Nancy P. Norton. The background and company material for this book is housed at the Harvard Business School. They do not allow outside researchers and genealogists to do research at the school. The chances that I might find the names of John and Margaret Barclay among the papers is a long shot. I am hoping for a list of workers which is not given in the book. Apparently the carpet company would recruit weavers from Scotland and then bring them over to the U.S. to work in the carpet factories. The Scottish company that did the recruiting of the weavers is the Gregory, Thomson & Co. (page 46.) . These Scottish weavers were brought over in about 1829. I find this idea of the Scottish weavers very interesting. Does it have anything to do with my Barclay family, I don’t know at this time.